Are you back to school lunch ready? With the new school term fast approaching, many parents and carers will be getting organised to get their child, and themselves back –to- school ready. 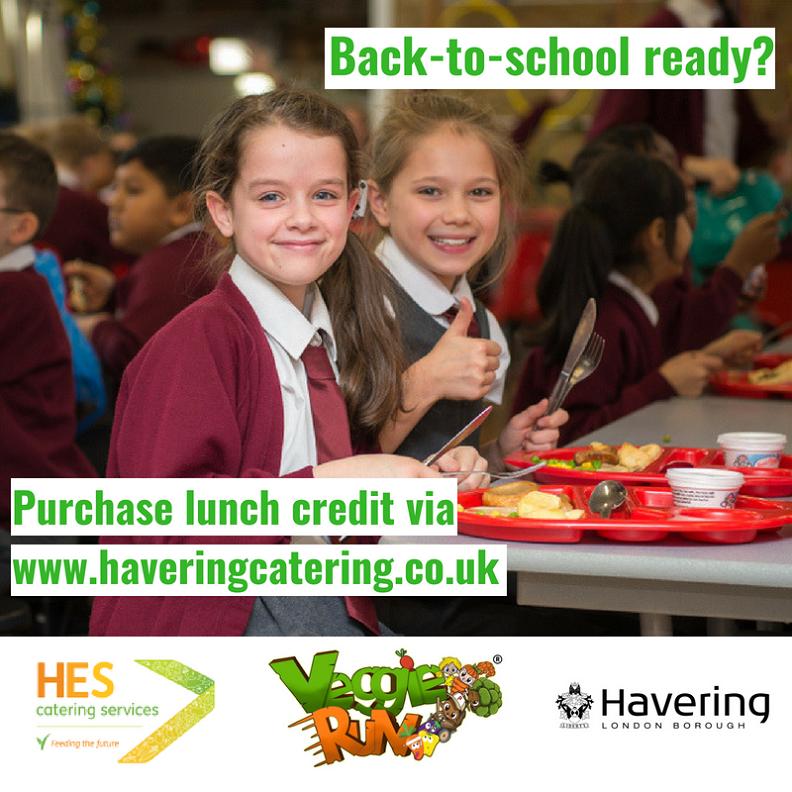 To help at this busy period Havering Council is reminding all parents that they can purchase healthy school meal credit at https://portal.squidcard.com/LoginPortal/ saving them time whilst providing their child with a healthy and nutritious lunch. Veggie Run is also back for the Autumn term and has new friends! The West Ham Foundation, Stubbers Activity Centre and Change4life will be awarding many new prizes to schools and pupils throughout the academic year, there will also be sporty prizes from Everyone Active and healthy meals from sQuid. The leader boards will be reset and competitions will start from the beginning of term. By pupils playing Veggie Run they can learn to dodge unhealthy foods and compete to win many prizes. “We are passionate about providing children with a healthy school meal in Havering. HES Catering service has maintained the Food for Life Silver Award for the last three years, and more than 80 percent of our school catered lunches are homemade using mainly organic, free range and fair trade ingredients.